A total of 74 percent of Facebook users surveyed by Pew Research Center have taken at least one of the following three actions over the past year, in response to the Cambridge Analytica data-sharing scandal: adjusted their privacy settings, taken breaks of several weeks from checking their accounts or deleting the application from their smartphones altogether. 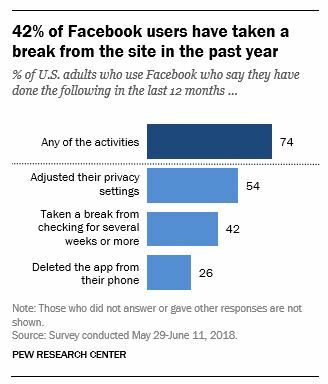 Pew surveyed U.S. adults 18 and over from May 29 through June 11, in the wake of Facebook’s Cambridge Analytica scandal, and it found that 54 percent had changed their privacy settings on the social network during the past 12 months, while 42 percent said they had abstained from checking Facebook “for a period of several weeks or more” and 26 percent deleted the social network’s flagship app from their smartphones. Age made a huge difference, however, as younger users were more likely to have taken at least one of the actions mentioned above than older users were. 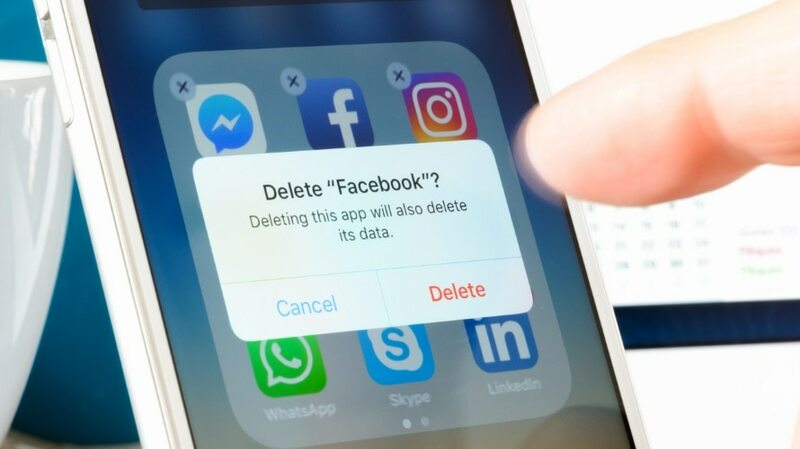 Pew found that 44 percent of respondents between 18 and 29 had deleted the app, compared with just 12 percent of users 65 and older. 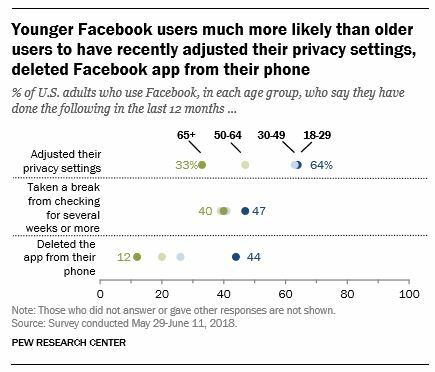 The pattern was similar for tweaking privacy settings, with 64 percent of the 18-through-29 group having done so, versus one-third of those 65 and older. The numbers were similar for the two age groups when it came to taking breaks from Facebook. Only 9 percent of respondents downloaded the data Facebook had collected about them, but of that group, 79 percent adjusted their privacy settings and 47 percent deleted the Facebook app. 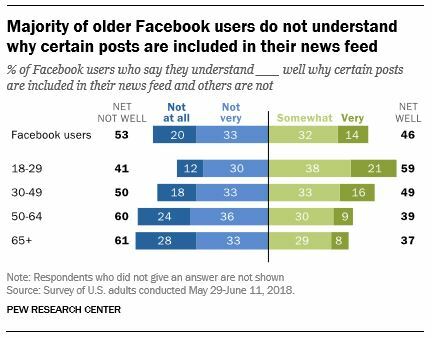 Pew also turned its attention to Facebook’s News Feed, finding that 20 percent of U.S. adults do not understand News Feed well, and 53 percent do not understand why certain posts are included while others are not. Differences among age groups surfaced again, with 59 percent of respondents between 18 and 29 saying that they have a good understanding of why certain posts are included in their News Feeds, versus just 38 percent of those 50 and older. 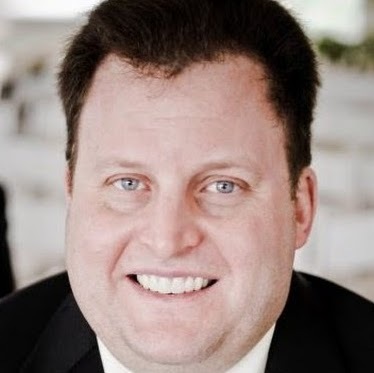 Despite the myriad tools offered by Facebook to give users more control over what they see in their News Feeds, just 14 percent of respondents believe they have a lot of control over the content that is shown to them, while 28 percent feel that they have no control at all. About 37 percent of users 50 and older believe they have no control over their News Feeds, compared with just 20 percent of those 18 through 49. Pew found that 50 percent of respondents who believe they have a lot of control over their News Feeds have attempted to influence the content that they see, compared with 40 percent of those who think they only have a little control and 24 percent of those who believe they have no control. 81 percent have followed or unfollowed specific groups or organizations. 76 percent have indicated to Facebook that they would like to see more or less of certain types of content. 73 percent have friended or unfollowed certain people. 70 percent have liked, shared or commented on certain types of content. 70 percent have changed their general privacy settings or ad preferences. 39 percent have taken all of the above steps. A total of 46 percent of respondents younger than 50 have attempted to try to influence their News Feeds, versus 28 percent of those aged 50 through 64 and just 19 percent of those 65 and older.